Welcome To A Whole New World of Ultra-Luxury African Canvas Safari Tents, Eco-Lodge, Island Dwelling, Spa, Tree House, Alternative Living and Resort Tents. With its origins in Safari-Tented Lodges out of Africa, Exclusive Tents specializes in supplying a unique range of ultra luxury canvas tented accommodation around the globe from Australia to Alaska and beyond. 1) How much do your tents cost? Answer: Each tent is priced differently. Select which tent/s you are interested in and then make an inquiry. The submission forms can be found at the bottom of the individual tent pages. Please include as much detail as possible regarding your project as well as any questions you cannot find in this FAQ. Circumstances allowing, we should be able to respond to you later that day or early on the next day. 2) How much does shipping cost? Answer: There is no set price for shipping. Costs may vary depending on the quantity and the model of the tent you are ordering, as well as your port of destination. Please keep in mind that brokerage, duties, VAT (taxes), and other costs related to shipping/import at the destination country port, are not included in the freight quote estimate that we will send you. 3) How much do your tents cost per square foot? Answer: Some tents cost more then others per square foot/meter so we are not able to calculate prices in this way. Each tent price is calculated differently and based on the structure, labor and complexity to manufacture. Custom options such as insulation, openings and frames used can also affect the price. Prices exclude freight, wooden platforms, layout, electrical, plumbing, interiors, fixtures, appliances, setup, duties and related costs. All tents are quoted in US Dollars. 4) How big are your tents? Answer: Our tents range from 130 Sq. Feet (12 Sq. M) to 3,670 Sq. Feet (340 Sq. M) and more. 5) Do you have a brochure? Answer: No, we do not have a printed brochure. We post all our information on our website. If you cant find the information you are interested in, feel free to contact us for more information. 6) From where do the tents ship? Where are they made? Answer: Our tents are made and shipped directly from our factory in South Africa to any destination port worldwide. We handle all freight logistics all the way to the destination port, where the customer or their agent takes over to clear customs and arrange for the local delivery. For customers in the USA, our agent W. J. Byrnes & Co./BYrnesAIR, usually performs this function and arranges for the local delivery and bills our customers directly on delivery of the tent/s. 7) Once I place my order, how long will it be until it arrives? Answer: Shipping times may vary depending on the port of destination. On average, it takes between 30 and 45 days to ship your order via ocean freight. We also do offer airfreight, which is significantly faster but more expensive. Keep in mind that most of our orders (depending on model and quantity) take about 10-12 weeks to manufacture. 8) What is the ordering process for the tents? Answer: Once you have decided what and how many tents you require, a set of drawing of the said tent/s will be exchanged for the customer to approve and custom changes and all openings. Once approved an invoice will be generated for the total cost of the tent/s and sent to our customer with the payment terms. The payment terms are usually 75% down at the time of placing the order. Freight costs are due just prior to dispatch of the tents from the factory. The 25% balance is due on proof of dispatch. All orders are only processed into production after the down payment has been received. We accept direct wire transfers and certified checks. We do not accept credit cards. 9) What happens if a change is requested after the order has gone into production? Answer: For each change there is a cost involved because it holds the production lines up and also requires changes to be made to the CAD drawings that direct some of the machinery. These costs may vary depending on the extent of the changes. 10) Do you come and set up the tent once it arrives? Answer: Most of the time it is up to the customer to set-up the tent. We are able to come and supervise the set-up process for you, but we do charge for that service. If you are able to e-mail, call in and/or send us digital pictures and we can help you remotely with the setup – there is no cost for this. 11) Do you do site inspections? Answer: Yes, we do this at the customer’s request – The customer is required to cover all the cost for travel, including transit time, lodging, expenses and our daily consulting fee (contact us for more detail). Site inspections are more common when we are involved in the project with custom deck and lodge design. 12) How long does it take to set-up a tent? Answer: That all depends on which tent. Some tents can be set up in a day or two while others will take a week or more assuming that the deck is already built. 13) What normally comes with a basic tent? 14) Do you make custom tents? Answer: Yes. We do make custom tents, but the process is longer than making a standard designed tent and more expensive in most cases. If you wish to make a custom tent, we must make sure it is possible and also look it over with our design team and structural engineers. All large custom design tents require wind and structural engineering approvals, either by our consulting engineer or that of our customer – this costs in the region of about $12,000.00. Upon approval, we can put your order into production. Custom design tents also take longer to go through the manufacturing process. Should this be required, we can also get our consulting architect, Paul Munnik, involved in the design of your own unique tent. 15) Can standard designs be customized? Answer: Yes, on standard design tents, you can choose the color of the canvas, rain fly and shade fly, frame colors along with window and door placement and type. 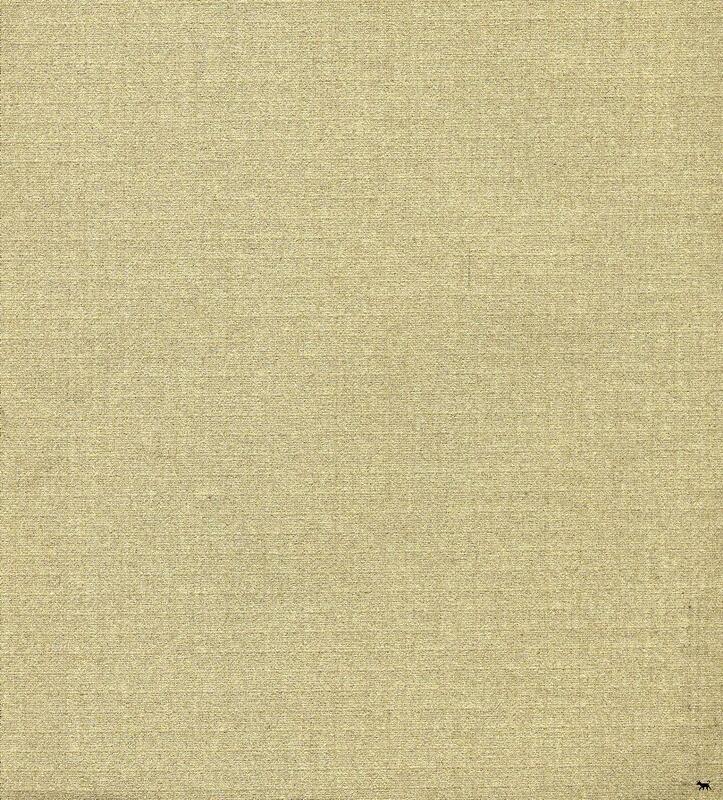 Canvas colors include Sand, Olive, and Coconut and the option for customized colors with a minimum order. Frame colors vary depending on the type of metal frame you choose. 16) Do your tents require a deck for them to be built on? Answer: Yes, our tents preferably require a wooden deck/ for them to be built on, however a concrete slab/plinth or flagstone etc. will also suffice. 17) Do you supply the decking? Answer: We can supply the wood and materials needed to build the deck, but we do recommend that the customer source it all out locally. Not only will you save on shipping costs, but also if you were to encounter any problems with the decking/plans, they can be dealt with on a one-to-one basis rather than through us. This ultimately saves you time, money, and the hassle. 18) Do the tents have insulation? Answer: We are able to insulate the tents by using a double-wall canvas technique with a layer of our new, lightweight insulation in-between. An insulated tent will cost more as you are purchasing the extra insulation and using nearly double the amount of canvas as a standard tent. We also make a ceiling insulation layer that gets installed between the canvas roof and inner liner. The new insulation has a value of R3 and is about ¼” (6mm) in thickness. 19) What framing options do you offer? Answer: We offer Mild Steel framing, 304 Stainless Steel, Thermal Zinc frame, and 316 Stainless Steel. If you are in high humidity area like the on the beach or in a rain forest then you will need a Stainless Steel frame or Thermal Zinc frame. Thermal Zinc treated frames offer better rust resisting results than 304 Stainless Steel and is less costly, but is not as protective as 316 Stainless Steel (marine grade). 20) How do you heat the tents during a cold winter? 21) How do you cool the tent down in the summer? Answer: We recommend that you go to a local supplier and have them calculate what unit will work best and have them install an air conditioning unit into your tent. Running the A/C through the floor vents is very easy and it works extremely well. Wall mounted A/C or split unit A/C’s also work very well. Our tent roofing is also very well designed to allow for maximum airflow and super efficient natural cooling. Ceiling fans are also a winner and work very well when the humidity is not close to saturation point. 22) How long do the tents last? Answer: Our tents can last a lifetime if taken care of properly. This includes keeping proper tension and keeping the tent generally clean. It is only in the case of a disaster that one ever will have the need to replace an entire tent; the tents are all made of components that are all individually replaceable as they weather. The shade fly is the component that is the most exposed to the elements and is usually the first component to weather. The customer can also purchase our water based canvas maintenance compound that restores UV protection, anti-rot, waterproofing and original color to the canvas, which can be applied every 1 to 2 years to the outer canvas, depending on the climate. 23) Can the tents handle wind? Answer: Yes, the tents perform very well in the wind. If the winds get really high the customer can purchase a wind bracing kit that will keep the tent body and the tent frame tight and rigid against the wind or get the materials locally. Damage to tents can occur when the tension is allowed to slack and the wind is able to jar the tent body back and forth. This creates wear on the frame and greatly reduces the overall strength and longevity of your tent. Using vertical wood beams/poles instead of the steel leg poles supporting the roof frame greatly enhances the rigidity of the tent and requires less wind bracing – it also is aesthetically more appealing. 24) Can the tents handle snow? Answer: Yes, the tents can handle snow. If you are going to be putting tents in a high snowfall area, consult with us so we can discuss how much snow you are talking about so we can decide if you need to make any customizations. These include increasing the pitched on the roof, or a special roofing design. 25) Can the tents handle heavy rainfall? Answer: Yes, the tents can handle a lot of rain. 26) Can the Tents handle a lot of UV (sun)? Answer: Yes, our tents can handle sun with ease and are UV protected. We have tents doing well in the intense sun of the Namib, Kalahari, Sahara, Sonoran and other deserts. 27) Are these tents fire proof? Answer: Our tents do have a fire retardant applied to them, but they are fabric structures and able to burn down like any other structure. It is best to ensure that one has good quality fire extinguishers at all strategic points. 28) How secure are our tents? Answer: Our tents are able to have wooden doors installed to make the tent more secure. Be that as it may if someone wants to break in to the tents, they surely will, as is the case with any other regular house. Motion detecting lights/alarms installed inside/outside the tents greatly enhances security. 29) Do you sell used tents? Answer: No, we do not sell used tents. 30) Do you keep stock of your tents? Answer: No, all our tents are made to order. 31) Do you have a show room? Answer: We do not have a show room at this time, but we do have customers in close proximity to our office that will allow us to show you their tents at their convenience. Please give us at least a month’s notice to make arrangements to visit these sites. 32) Do we offer a volume discount? Answer: Yes, we do offer volume discounts, but it depends mainly on tent design and quantity. 33) Do our tents have a ground sheet? Answer: It’s an option, but we rather recommend alternative flooring such as wood, tiles etc. because the PVC groundsheet gets very scruffy and wears through with time and is not easy to replace. 34) Do you offer wood deck/platform designs? Answer: In the past we have not offered this as each customer tends to have different requirements but we will soon be offering some basic designs – check out our Kaalvoet Design Web page, as they will be appearing there soon. 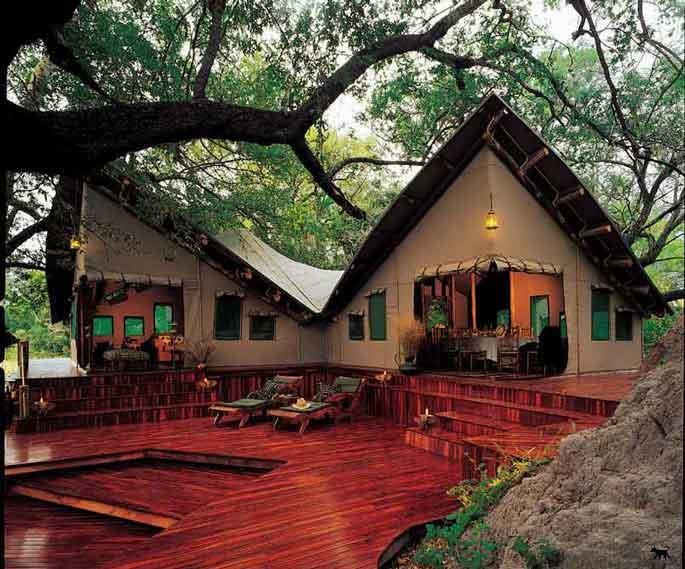 Kaalvoet Design also offers custom design decks/platforms, entire lodge design and layouts and project supervision. 35) Apart from the tents what else do you supply? Answer: We offer our own unique range of custom furniture through Barefoot Interiors. We do not supply bathroom/kitchen fixtures, heating, air conditioning, plumbing, electrics, etc. These are best sourced locally. 36) Can rainwater be harvested from your tent structures? Answer: Yes, this is possible but it depends on the tent design, as some designs are more practical for harvesting water and others less so. Harvesting rainwater requires guttering and will detract to some extent from the aesthetics of the tents. 37) Are your tents considered “Temporary Structures”? Answer: Yes, in most countries, the tents can be classified in this way but it is best to consult first with your local authority. 38) Can your tents be taken down easily? Answer: Yes, this is one of the important features of our tents that they can be taken down relatively easily if they have to be taken down seasonally because of weather or in the case of impending severe weather such as Cyclones, Hurricanes, etc. The installation of framed doors and windows into the tents will impede this feature. With wood frame tents it is not possible to take down the tents in this manner. 39) What is the difference between our tents and Yurts? Answer: Our tents are very different in many ways from yurts. The points below show some of our tent features and represent some of the differences between our tents and yurts. · 4 roof layers for natural cooling in warm conditions and added protection of the tent. · The tents consist of individual components that can be replaced as need be, that the tents never need to be replaced in their entirety. · Lightweight insulation (1/4" thick with R -Value of 3) is available as an optional extra. · Our designs are majestic, elegant and aesthetically pleasing. · We also supply a canvas maintenance compound that further extends the life of the canvas, that when applied, restores UV protection, anti rot, water proofing & original color - this is applied once every year or two. · Better use of space. · We can customize window and door openings to meet the customer requirements. 40) What questions can be answered to better help us serve and understand your tent requirements?
. Is your tent site close to the ocean and if so, is it close enough that rusting will be a factor?
. What is the climate, terrain and vegetation type at your tent site?
. In what country and location are the tents to be set up?
. What specific tent designs on our website seem to meet your needs?
. What square foot/meter area is your preferred size for your tent if you have no specific design in mind?
. If you have a quantity of tents you require, please specify this quantity.
. Is your tent project for personal use or for a resort/lodge development?
. Will you require larger tent/s for an office/reception/bar/dining/lounge tent?
. Is there a timeline on your tent project and is so, what is this timeline?
. Any site pictures or aerial photos are often helpful to us, so if available, please send any such like materials through to us.
. Be sure to let us have your full contact information. Exclusive Tents Ltd. is a trademark of Exclusive Tents, Ltd.